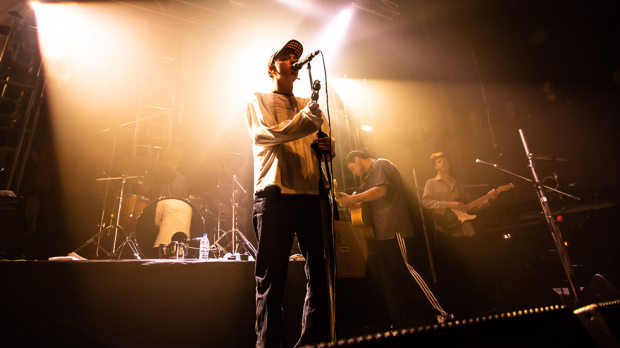 Described by many as “the next Oasis,” DMA’s took over Metropolis Fremantle on Sunday, June 3, with dream pop’s next big thing Hatchie in support, for a show that proved why such accolades might just be true. Hatchie and her band took to the stage while the venue was still filling and her dreamy songs set the mood perfectly for the night. Fresh from playing shows in the UK, the band were noticeably seasoned and well-drilled. They played through all the tracks from Hatchie’s recently released debut EP Sugar & Spice, including the title track, crowd favourite Sure, first single Try and one of her best releases yet, Bad Guy. The lights went down and DMAs appeared, looking like they’d stepped out of a time machine from England in the 2000s, ready to play to a venue now full to the brim. The band opened with an early track Feels Like 37 before playing the title track from their latest album For Now and a cut from their debut, Melbourne. The band were tight, and the crowd, which was a very surprising mix of ages, were enjoying the Britpop vibe of the tunes. It was high time for some big sing-alongs when the band launched into recent single In The Air. This track was clearly already a fan favourite and definitely an early highlight of the night. Time and Money and Step Up The Morphine also got the crowd involved in the choruses, but Delete took things to even higher heights. 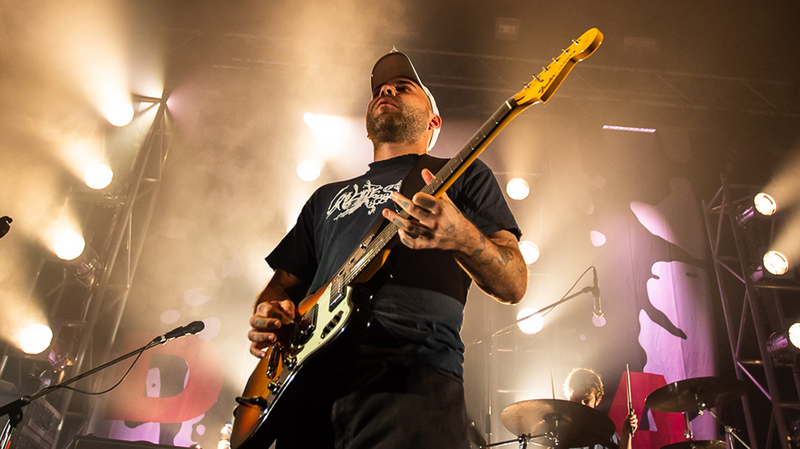 It garnered one of the biggest reactions of the night, and although there was hardly a soul in the room that wasn’t singing along, it could have been more fitting at the end of the main set or in the encore. After Dawning and Emily Whyte the band left the stage but an aeroplane-like sound lingering in the air made it pretty clear they’d be back pretty soon. 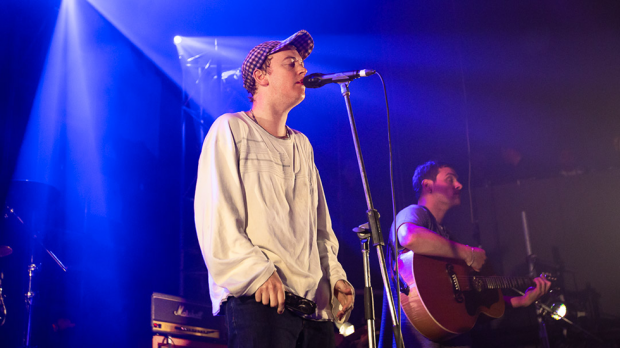 After enough anticipation and yelling from the crowd, DMA’s returned to the stage and launched into Play It Out. This was closely followed by In The Moment and the show closer, Lay Down, which got everyone dancing. The question on everyone’s lips though was “What about Believe?“‘; the band’s cover of Cher’s 1998 classic. 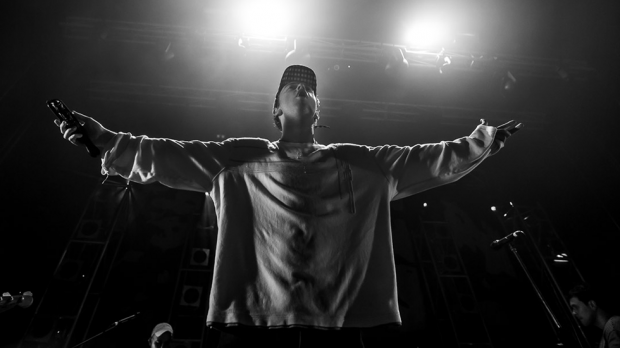 The song had gained a cult following after they performed it on triple j’s Like A Version segment, and is almost as popular as Delete. Many fans left disappointed they didn’t get to hear the cover live as they might have expected, being one of their most popular songs. Apart from the setlist which put Delete in an awkward position and completely missing Believe, it was an enjoyable show. The band could have chatted a little more between songs, but I guess that’s not a real Britpop thing to do. 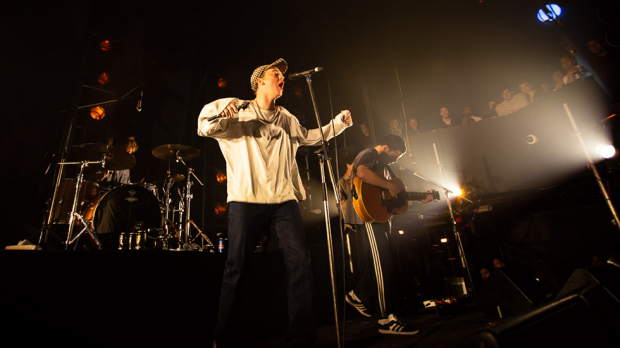 As for being “the next Oasis”, DMA’s definitely looked and sounded the part. The only thing missing was the fighting, which obviously isn’t a bad thing.